The Band's Visit Takes Home A Grammy Award! From Childish Gambino taking home four awards to Drake having his microphone cut off, there's always something to talk about when it comes to the Grammys. This year we're celebrating The Band's Visit and them taking home an award! Prior to the CBS broadcast of the 61st annual event, The Band's Visit cast recording was awarded with the 2019 Grammy Award for Best Musical Album! Taking to the stage to accept the award was producer Dean Sharenow and composer David Yazbek who shared the win with the album's principal vocalists Adam Kantor, Etai Benson, Katrina Lenk and Ari'el Stachel. My Fair Lady, Carousel, Jesus Christ Superstar Live in Concert and Once On This Island were also nominated for the award. WHAT IS THE BAND'S VISIT ABOUT? 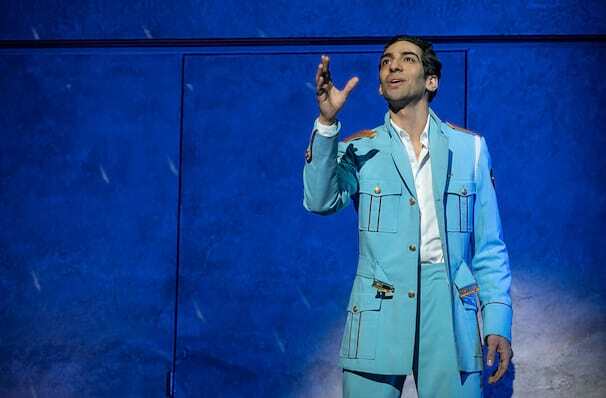 View our show pages for more information about The Band's Visit, Cadillac Palace Theater.